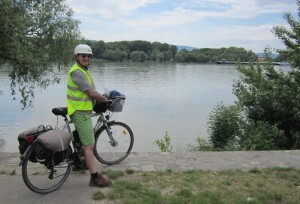 Today we reached the Danube after cycling more than 1,000 km since leaving Dresden. 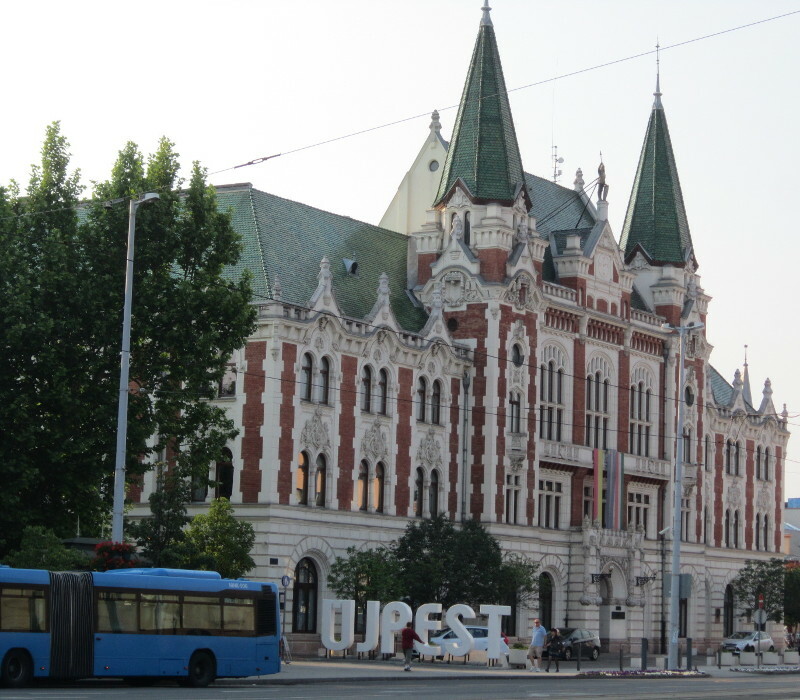 We were concerned that the roads would become unpleasantly busy as we neared Budapest. However this didn’t eventuate and the traffic was quite manageable (travelling on Sunday may have helped). 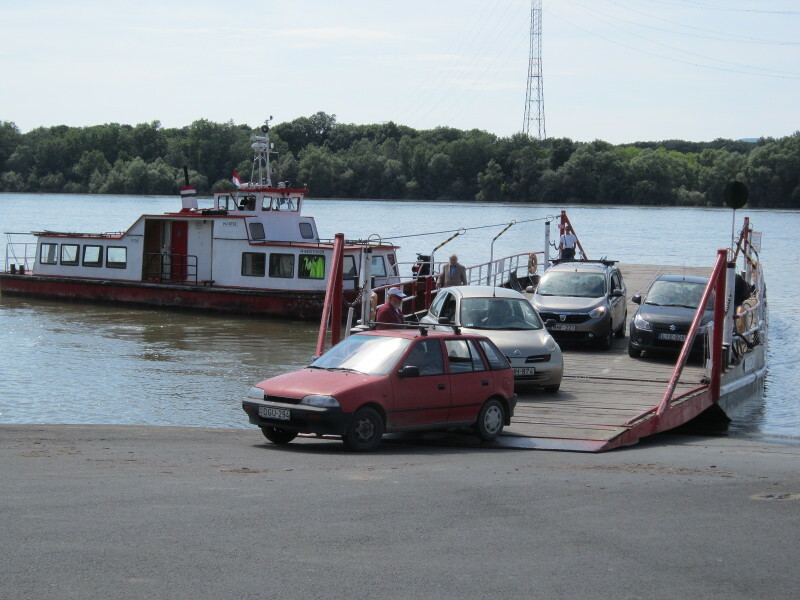 Our route was on secondary roads from Szecseny, through Balassagyarmat – Szugy – Mohara – Magyarnandor – Galgaguta – Acsa – Csovar – Penc – to Vac, which is on the Danube. The conditions were almost perfect for cycling – not too warm or too cool and the route was more downhill than up, following a river for part of the way. Every now and then we noticed people foraging on the side of the road for some type of (edible?) plants – often they had travelled to the roadside on bicycles. We passed a dam with lots of people sitting around it fishing with deck chairs and coolers. We saw people going to church in the small towns we passed through. In one or two places we cycled through swarms of tiny insects, which stuck as tiny road kill to our faces and arms. Kris got it the worst as he rides in the front. At Vac we found the Danube. 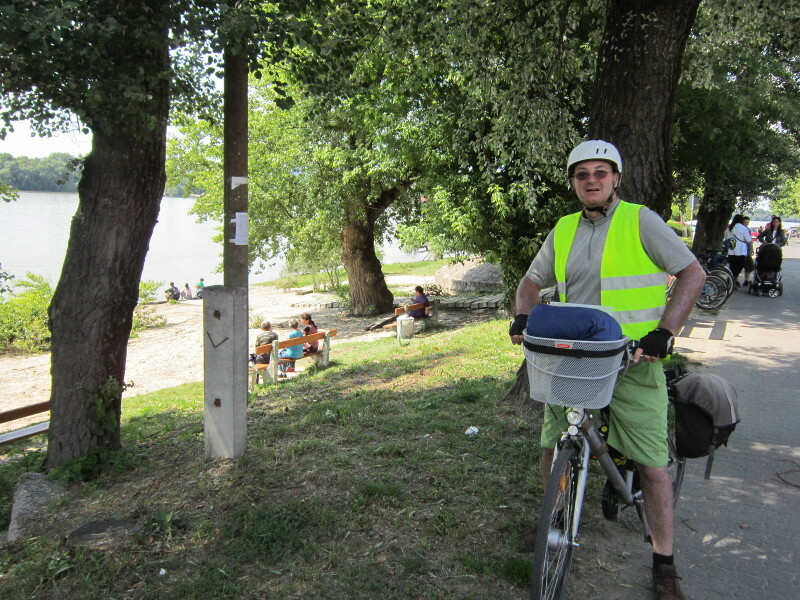 There was a wonderful Sunday afternoon atmosphere on the river bank with lots of families, cyclists, people eating ice cream. 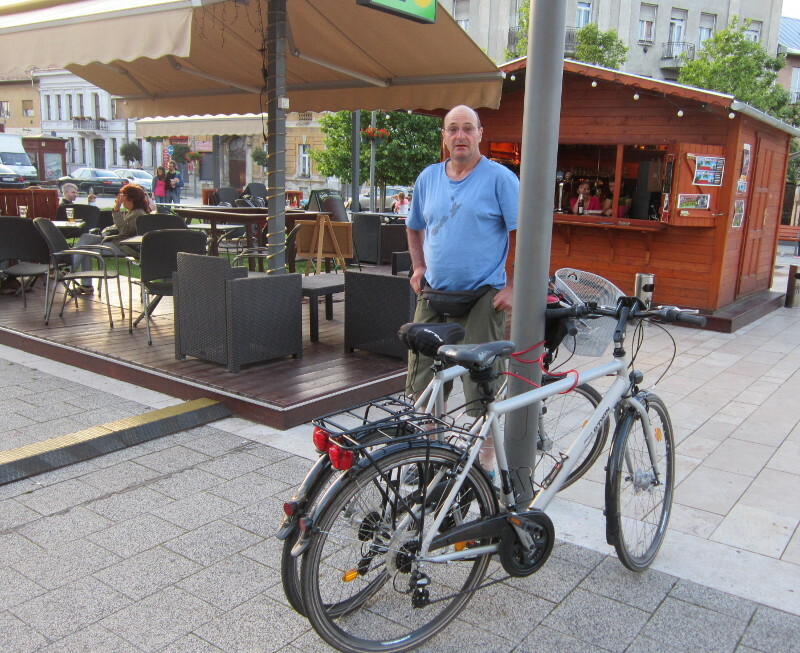 We were told we could cycle into Budapest (about 30km away) all along cycle paths and decided to continue on as it was still early and such a good atmosphere on the river. The cycle path alternated between along the Danube banks, through forests beside the Danube and sometimes through quiet suburbs with little traffic (where it was still signposted as a cycle path). We stopped along the way to eat ice cream and drink lemonade with chunks of fruit in it. We watched cars, motorbikes, cyclists and pedestrians coming on and off a barge ferry crossing the river while we had our drinks. Unfortunately we lost the bike path and were on unpleasantly busy roads again for the last few km into the city. We found a hotel in a district called Ujpest (New Pest), which is about 8km from the centre of Budapest. It was a three star hotel but on the busy road and not in the centre, so not expensive. We did 108km and I was very tired but Kris was still feeling energised. 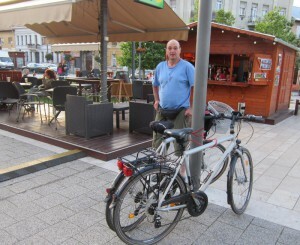 After washing up, we hunted around for somewhere to eat and found a nice bar and cafe near the Ujpest town square where we had burgers and beer. 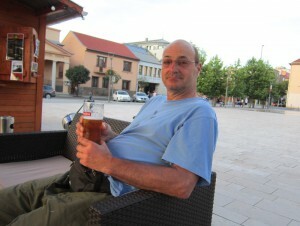 Then we had another beer at an outdoor pub on the town square.